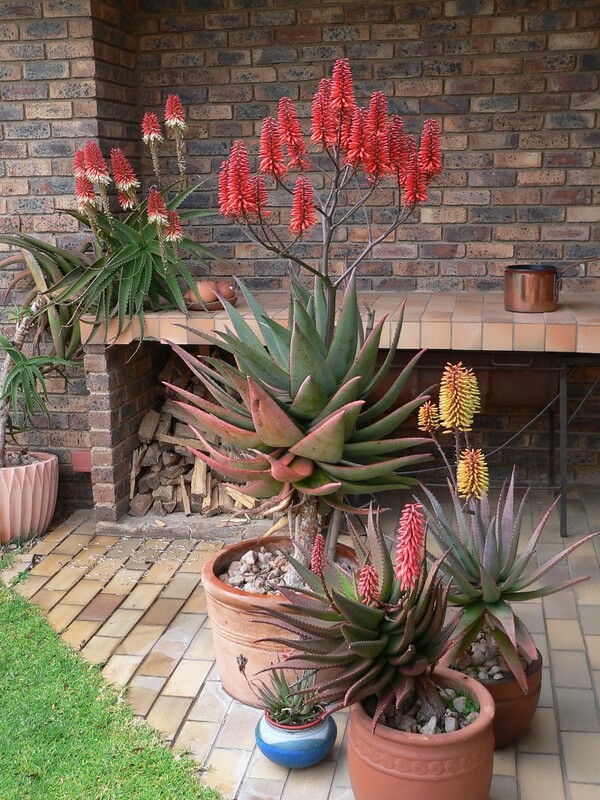 Sunbird Aloes can be grown successfully in containers, provided cognizance is taken of the ultimate size of the plant. Nothing stops a gardener from starting a large aloe in a pot and moving it to open soil when it outgrows its container. Use a well drained sandy soil with lots of well composted material mixed in, and as much sun as you can provide. Bark-based compost is not recommended. As a general guideline an aloe can be allowed to grow to twice the size of the container before it needs to be given more space. If the plant is expected to maintain its flowering performance it is advisable to replace the potting medium every 2 to 3 years.